I have been working non stop since 2015 started. I'm really not liking it but i'm glad i'm to be able to write a post today. Lately i have been seeing a lot of people using Gel nail polish and i love how it looked. 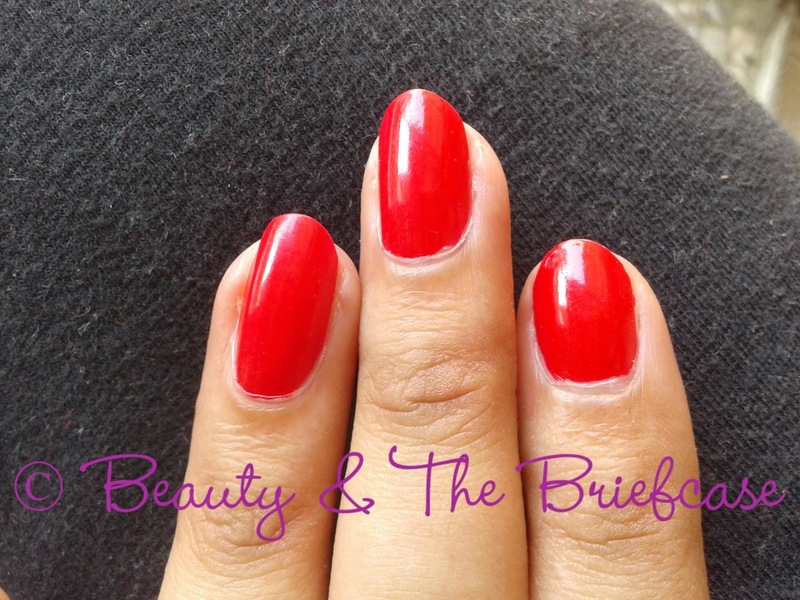 I was lucky to try out a Gel Polish from Tips & Toes and i really loved it. 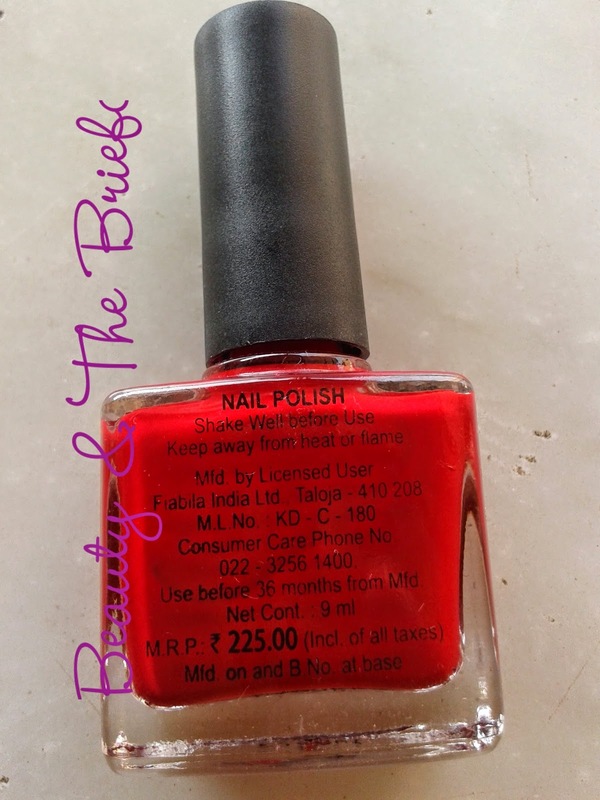 Read on to know more about this Gel Polish. A high end gel, texture, glitter and nail art top coats for the woman who wants to feel royal! 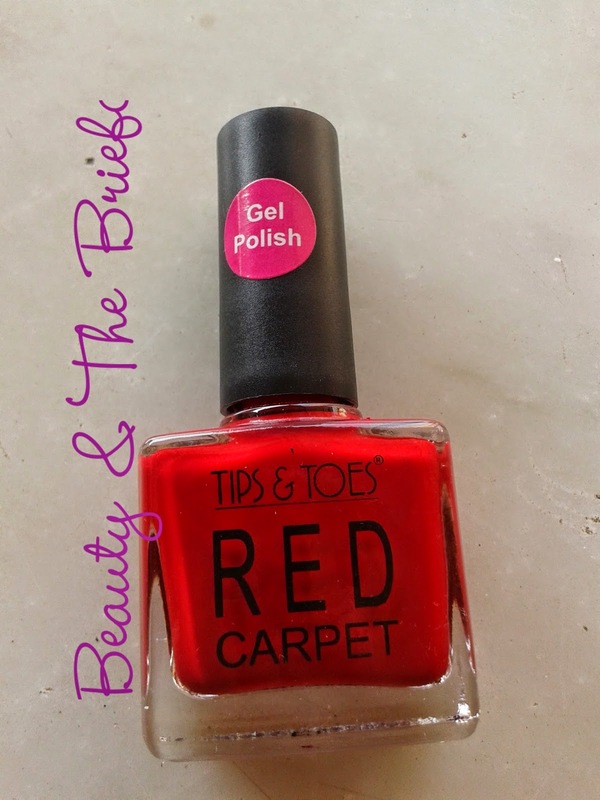 Experience the Red Carpet feel with our TIPS & TOES Red Carpet Nail Polish. Easy to apply at home. So no need to go to parlor for any professional touch or costly nail arts. Specially designed flat brush for better application and perfect finishing. The nail polish comes in a cute little rectangular bottle. It has a brush which is of excellent quality. I love this shade. It's a lovely bright red. I'm not so fond of Red. 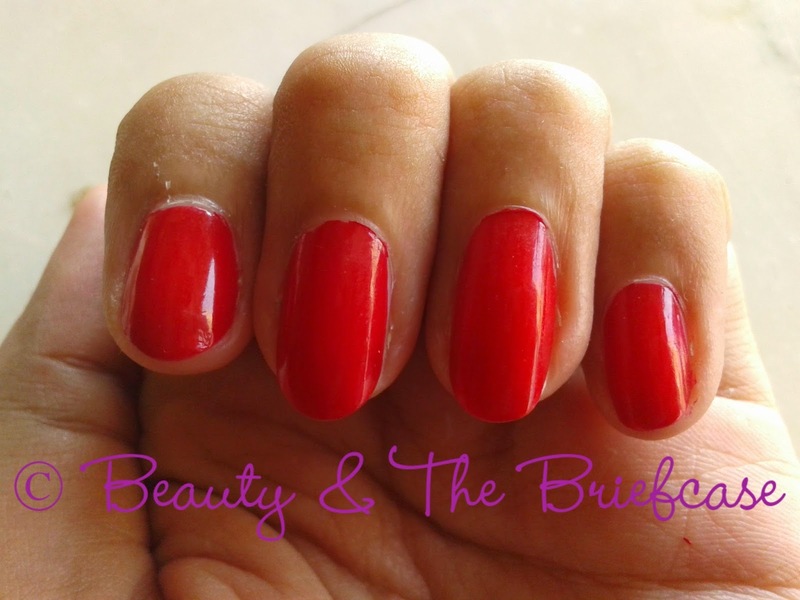 But this nail polish definitely made me fall in love with Red. The nail polish is very easy to apply. One coat is all you to need to get full opacity of the shade. The nail polish dries in a couple of seconds which is amazing cause hate it when i can't do anything just because my nail polish isn't dry. 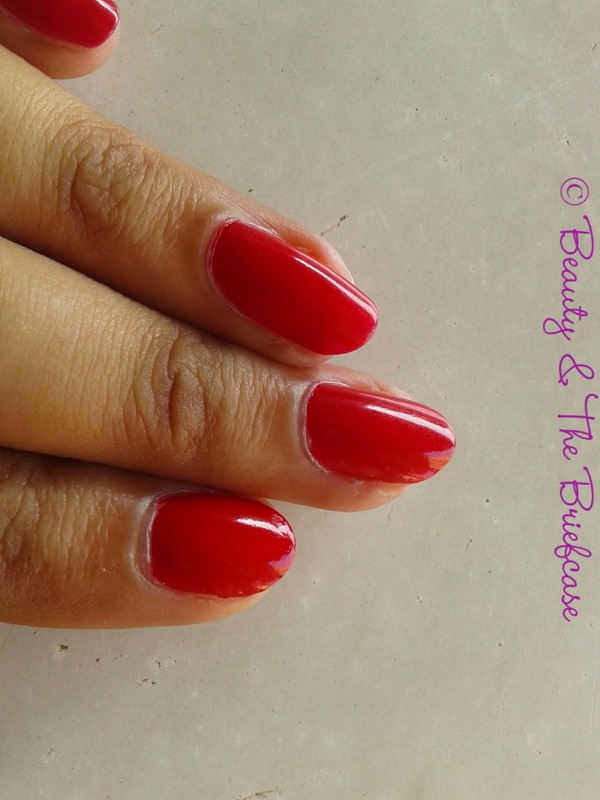 The gel polish gives a beautiful finish to the nails. Its such a glossy finish i love it. The shade doesn't chip for about 4 days which is pretty decent. 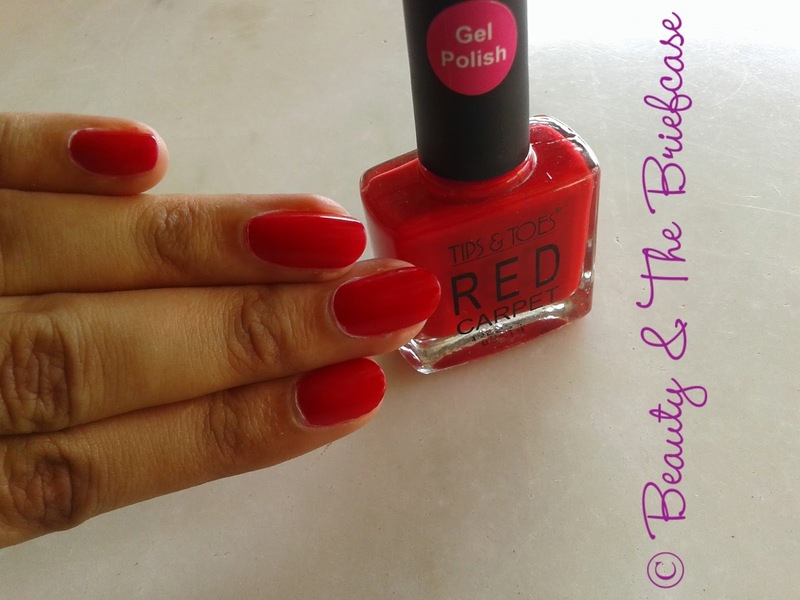 Overall, i'm loving this gel polish which is priced very reasonably in comparison to other gel polishes available in indian markets. The shade goes opaque in one coat. Decently priced in comparison to other gel polishes. I really loved this Gel Polish from Tips & Toes. I think you should try these out as well. 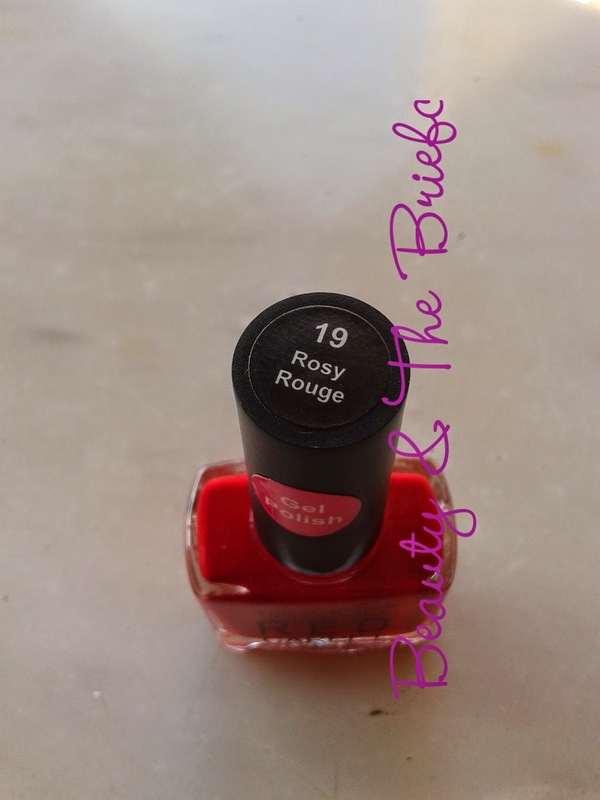 Do let me know what you think about this shade? Have you used any products from Tips and toes before?? Is there something that you love and i should try??? Do let me know in comments below. Looks like a good quality nail paint. I never tried anything from Tips & Toes.